Home » Music » Interview with John Wicks of The Records, tribute CD with Blondie’s Clem Burke, Fleshtones’ Keith Streng & more! Interview with John Wicks of The Records, tribute CD with Blondie’s Clem Burke, Fleshtones’ Keith Streng & more! 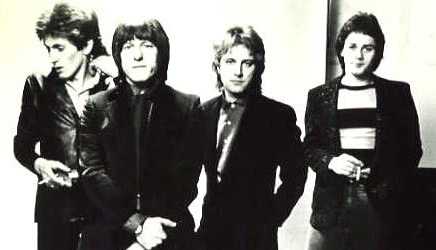 The Records may be the biggest, most influential powerpop band that never actually made it big. A critic once described them as “the British Big Star“. I’m quite sure said critic didn’t know at the time how prophetic that statement would prove to be. Zero Hour is releasing another Records tribute record on April 1, featuring a number of powerpop superstars as well as some other very familiar names to fans of the genre. I had a chance to catch up with John Wicks, The Records’ lead singer and co-author of Starry Eyes – a bonafide “hit” and a powerpop standard by which all others would be measured, as well as a plethora of near misses. Power Pop News: I heard you were writing track notes for the soon to be released Records Tribute CD that Zero Hour records will be releasing in April. JW: Will Birch and I were originally doing liner notes but it was decided that, in order to get the disc out by April 1st, George at Zero Hour would have the very capable – Roch Parisien do the honors. Although Will and I would have been more than happy to write them, there is a positive aspect. – we’re both kept very busy these days, with our respective projects – it’s one less thing we have to get to! Haha! Carolina Orange: Of the bands included, the most intriguing (to me anyway) is The Split Squad, a powerpop “supergroup” consisting of Keith Streng (Fleshtones), Clem Burke (Blondie), Michael Giblin (Parallax Project), and Eddie Munoz (Plimsouls). Your work with Clem Burke in a short lived version of the Records is somewhat legendary. What do you remember best about your brief association with Clem? JW: Clem’s a very good friend, and it doesn’t hurt that he’s a musical icon! Needless to say I was honored when he agreed to play drums with me and my new line up, at a show at the Knitting Factory here in Hollywood, back in 2002. Those folks familiar with his work with Blondie, know what a powerhouse, high-energy drummer he is. Being in a band with Clem is kind of like riding a racehorse. You’d better keep up or you may get thrown off! 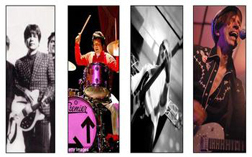 Power Pop News: Do you know the other artists on the tribute? JW: Quite a few. I know Eddie Munoz from Cyril Jordan’s band – Magic Christian, and Clem, of course! It’s really cool to have him on the record, along with Clem, Keith Streng and Michael Giblin. Also, Lannie Flowers and I were on the same IPO bill a few years back, too. 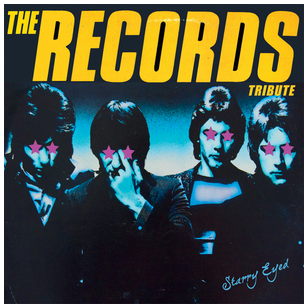 Power Pop News: This is the second Records’ tribute CD that has been released, the first being the Rock Indiana title – “I Don’t Remember Your Name” – consisting of mostly European bands. And then there was – “Guitars in the Sky” – a short-lived Records tribute band that Mitch Easter & Shalini Chatterjee put together and played in and around the Southeast with. What’s it like to get all this attention so many years later? JW: Bearing in mind that due to a series of unfortunate circumstances, we didn’t get to achieve the kind of mainstream success we’d hoped for, it’s extremely gratifying to realize that we’ve been remembered after all these years! Ultimately, I feel it’s a testament to the quality of the songs, more than anything. If they weren’t worthy, I think we may very likely have been forgotten by now. Power Pop News: What’s next for you and The Records? JW: Playing more acoustic and band shows. In recent months, I’ve been concentrating on my songwriting, also co-writing with various artists. Hopefully, I’ll be playing some more dates soon, both with my new Records’ line up and with my present writing collaborators, Bangle – Debbi Peterson and also with up and coming new singer-songwriter –Dani Lee. As soon as I finish recording with Debbi and Dani, plans are in the works to resume recording my new Records’ material. I’d love to do an acoustic album as well and it will happen at some point, but there is so much to do, and not enough time to do everything all at once! But, rest assured, I will eventually get around to it. There’s also the distinct possibility of a reunion, of sorts, featuring Will Birch, Jude Cole and Yours Truly. We met up here in Los Angeles last December, the first time all three of us were together in the same place, since 1980. More news on that, as things evolve. Stay tuned…. Visit John Wicks and The Records at their website HERE. Also, you can purchase his latest CDR entitled Works in Progress, a collection of outtakes and rare tracks.